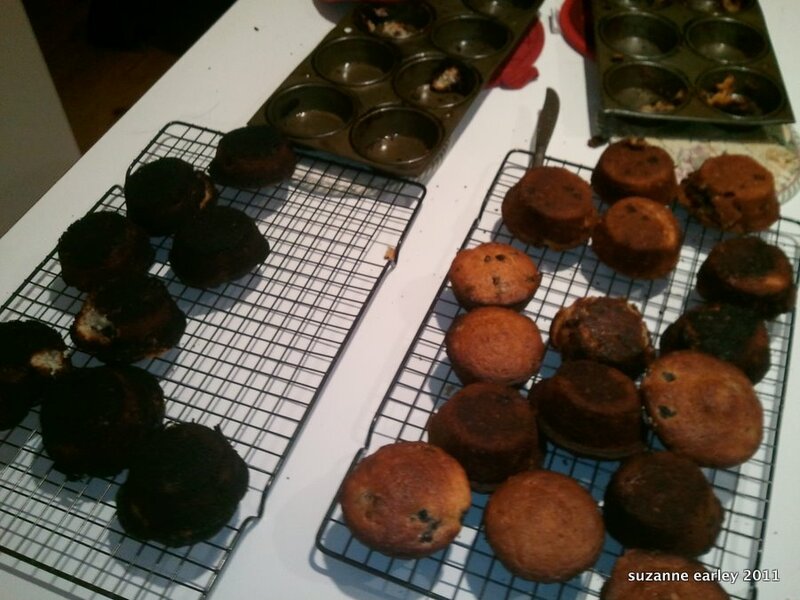 The worst part wasn’t that fact that I had burned the damn muffins. No, the worst part was having to clean the damn pans afterwards. Thankfully, the honey glazed spiral cut ham that I made was like candy and turned out just fine. I’m thinking an early bedtime is in order today. I seem to be having a lot of cooking disasters lately, too. I wonder if some planets or other are in retrograde or opposition? Looks like some mess from my kitchen! Dang. I really hate when that happens! Tomorrow will be a better day! Thank you for posting that picture. I’ve been having that problem a LOT lately. Finally told a friend after burning ALL my cookies for a cookie exchange that I can successfully make a quilt, so I guess I should just quit worrying about the baking and those failures. I never burn ANYTHING like seriously, it never happens, and this holiday season I burned like 4 different things. I think my oven is off. Hey – that looks like one of MY recipes!